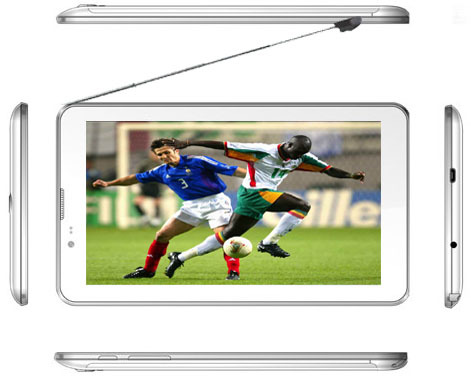 This is our HOT NEW 7'' Android Dual Core DVB-T2 TV Tablet with Dual Antenna, AMLOGIC8726-Mx Dual Core CORTEX-A9 / 1.6GHZ, DDR 1G + Flash 8G, HD 1024*600, front 0.3M + 2.0M back camera, 3000mAh battery. Special Dual TV Antenna design to guarantee best TV reception both indoor and outdoor. You can watch TV and make phone call whenever and wherever possible ! 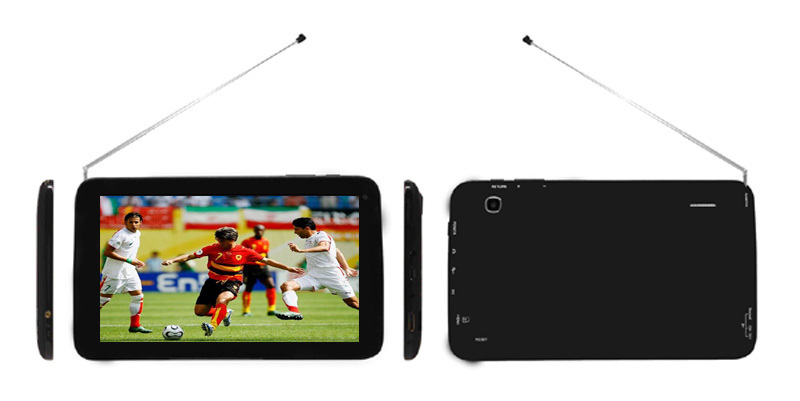 Send your inquiry to our good quality New 7 inch DVB-T2 TV Tablet with Dual Antenna products.